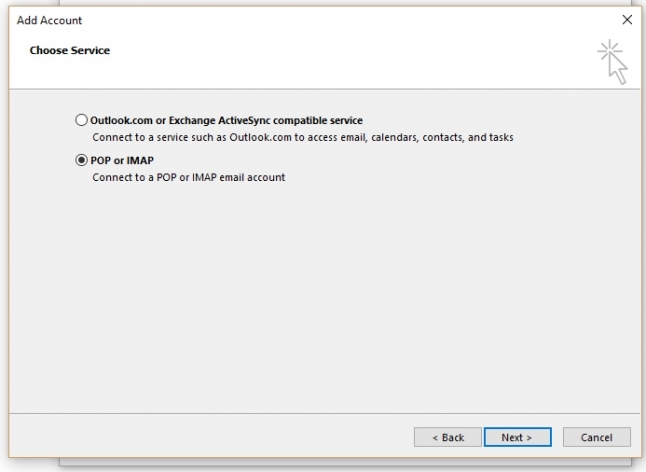 To add your email account to the latest version of Microsoft Outlook first click on the File menu and then on Account Settings -> Account Settings. 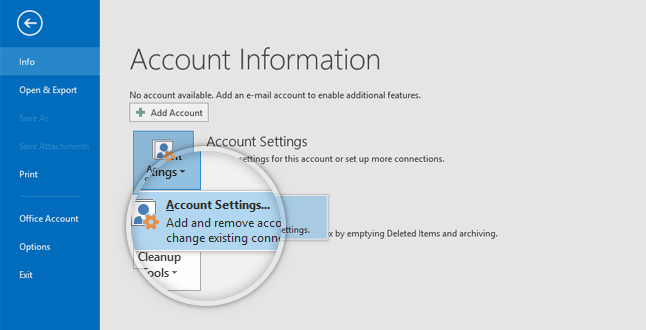 If you’re using the Mac version, the menu will be in Outlook -> Preferences -> Accounts. To begin, click on the New button on the new window that opens. A new window will appear named Add Account. On it select the Manual Setup or additional server types option and click Next. 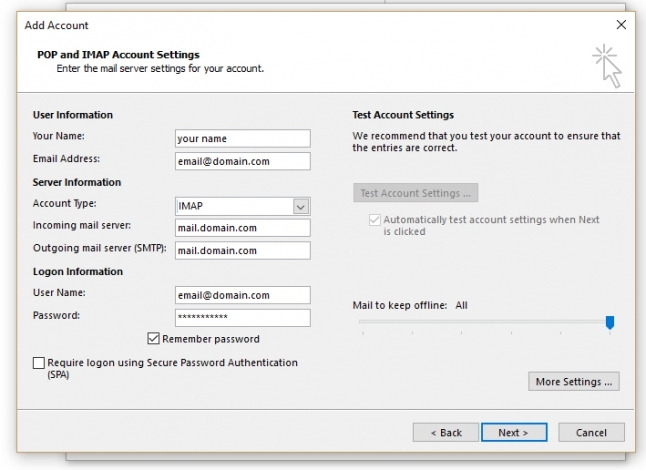 Then on the next step select POP or IMAP and click Next. Once you fill in each field/checkbox, click on the Next button to proceed. 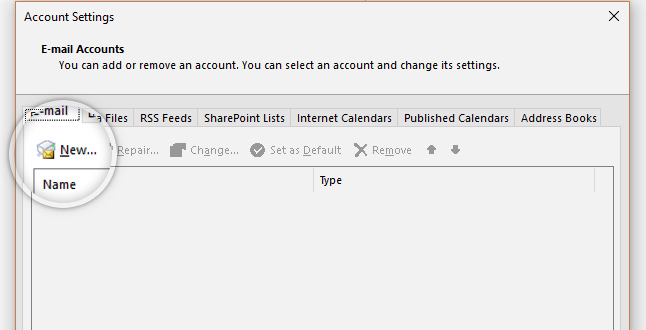 A new window should appear named Test Account Settings in which you can follow how Outlook verifies the information you have provided.